When traveling by air, make sure that your seat is not hollowed. Hollowed seats can cause you to sit in an uncomfortable position, leaving you irritated. If your seat is hollowed, put cushions on the seat or any kind of small mattress. Moreover, your spine is shaped in a curvy way. To maintain that curve while sitting, put a pillow behind so as to support your back. Tuck cushions just on the space of your neck and headrest so as not to cramp your neck muscles. These are simple steps on how you can travel comfortably. If you experiencing post travel pains be sure to make an appointment with Wyoming Valley Chiropractic Center. 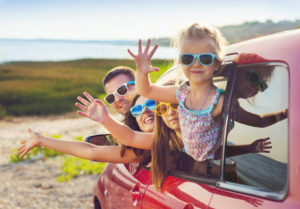 Travel safe this summer!